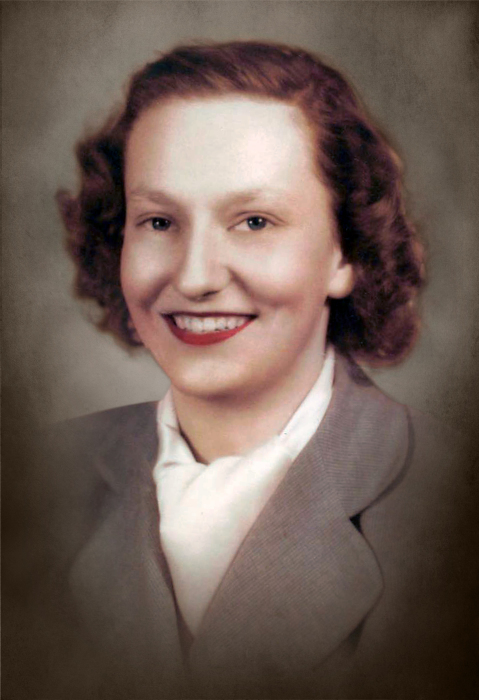 Joyce Marie (Messerschmidt) DeLozier was born on March 4, 1929, to Herman and Edith (Randall) Messerschmidt in Shelby, Iowa. She was raised in Shelby and graduated from Shelby High School in 1947. Joyce moved to Oregon for a short time and then returned to Shelby. She worked at a Laundromat in Omaha for a short time. In 1949, Joyce married Ed DeLozier in Yuma, Arizona. The couple lived in Des Moines, Iowa, Milwaukee, Wisconsin and Pueblo, Colorado. The couple then moved to Dunlap, Iowa and began farming. For a short time, Joyce also worked at the Rose Vista Nursing Home in Woodbine. Joyce was a member at the United Methodist Church in Dunlap. She loved feeding the birds. Joyce also enjoyed reading, gardening and walking. Joyce died on Monday, December 3, 2018, at the Dunlap Specialty Center in Dunlap, Iowa at the age of 89 years, eight months and 29 days. Joyce was preceded in death by her parents and one brother, Gene Messerschmidt. She is survived by her husband, Ed DeLozier of Dunlap, Iowa; four children, James DeLozier and his wife Deb of Dunlap, Iowa, Sally and her husband Jim Heitz of Omaha, Nebraska, Royce DeLozier and his wife Linda of Hooper, Nebraska, Cynthia and her husband Charles Safilian of West Bloomfield, Michigan; 12 grandchildren; 18 great-grand-children; one great-great grandchild; sister, Janice Allen of Council Bluffs, Iowa; and many other relatives and friends.